These butter mochi cake muffins are dense and chewy with a crispy buttery exterior that’s completely addicting! 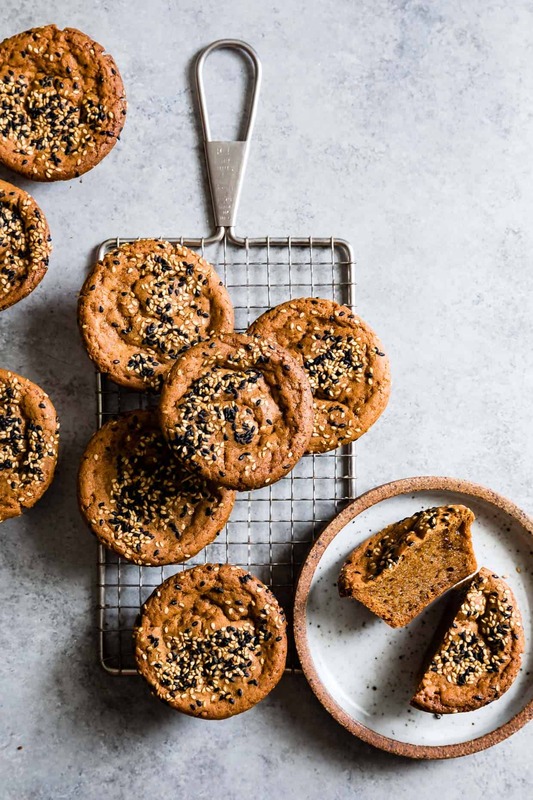 A spin on the classic Hawaiian dessert, this butter mochi recipe is baked with brown sugar, coconut milk, and toasted sesame seeds for rich toffee-like caramel and nutty notes. The title for this recipe – butter mochi cake muffins – gets any confusion out of the way up front: these are absolutely dessert. They’re cake first, muffins second. Sure, you could call them cupcakes, but that would also be misleading, in my opinion. I don’t want you going into this expecting some sort of frostable cupcake. 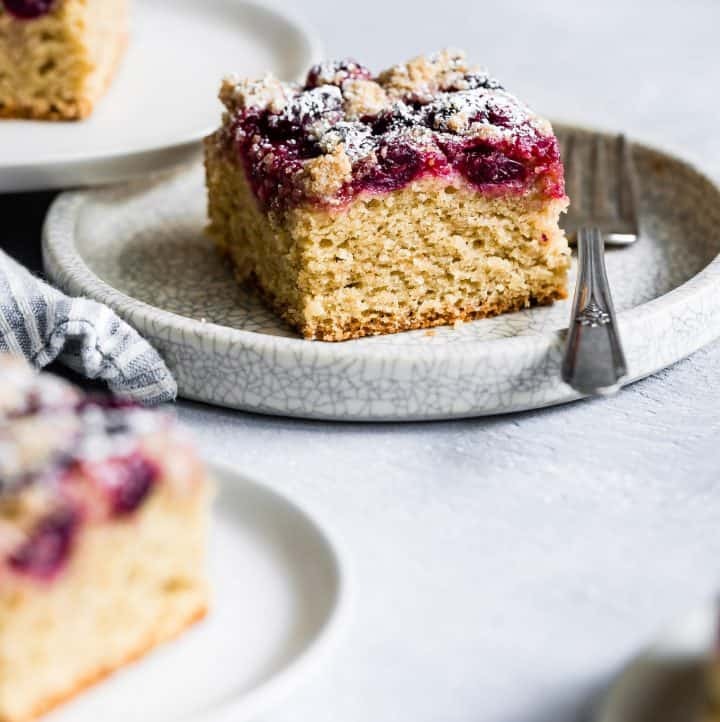 This mochi cake is dense and unbelievably chewy inside, with a slightly crunchy browned crust that together make a textural paradise. The muffin shape is there simply to ensure the highest ratio of delicious crispy browned crust. So mochi cake muffins it is, ok? Also, because we’re calling them muffins, you can definitely definitely eat one for breakfast. These are magic muffins that might turn you into an irrational beast trying to savor and defend the muffins from being eaten by anyone but you. I would know. I mentioned before that my neighbors brought over a batch of homemade gluten-free muffins the day we brought Ira home from the hospital two months ago. It was a batch of butter mochi cake muffins. There were at least a dozen muffins – plenty for everyone, but I knew how special these muffins were. They were my favorite kind of muffin and I didn’t have a recipe for them yet. So when I caught Lucas at midnight eating on of these muffins in two bites like a monster, I snapped at him about how these weren’t meant to be midnight snacks you shove into your face like marathon fuel, they were special treats for our breakfast. I’d just birthed a 9lb baby and my hormones were all over the charts, but I had to protect my mochi muffins (our mochi muffins). After all, they were MY muffins (they definitely weren’t). I’m fully aware how ridiculous that was and that I’m lucky he’s still my husband. But now you know: these butter mochi muffins are so delicious and addicting that you’ll be tempted to eat one right after another in huge bites, but, in my opinion, every last crumb is meant to be savored and enjoyed. Do either or both though. I won’t come after you in an unreasonable fit of rage, I promise. Butter mochi is a classic hawaiian dessert that bakes up as a dense chewy cake that’s typically sliced into pieces. My butter mochi recipe is a cross between classic Hawaiian butter mochi cake recipes and a mochi muffin that’s taking over cafes here in the East Bay Area. Whenever I go for boba (often), I also grab a sesame-topped butter mochi muffin made by Third Culture Bakery. It’s one of my favorite snacks and, and $4 a pop, I’ve been looking to crack the recipe for years. Apparently so has everyone else because folks have been trying to sneak into his kitchen to steal the recipe! When my neighbor showed up with a batch of similar mochi muffins I immediately texted for the recipe. 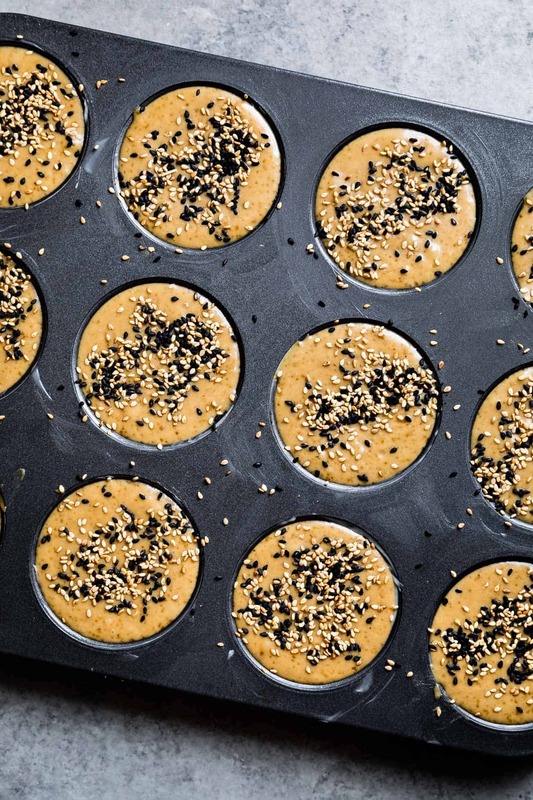 Using his recipe as a jumping off point, I made several more batches – some with coconut sugar, some using evaporated milk – until settling on this very simple version that, in my mind, is mochi muffin perfection. The classic Hawaiian butter mochi cake uses eggs, sugar, butter, coconut milk, and mochiko (sweet rice flour). In my research, I also noticed many recipes call for evaporated milk or sweetened condensed milk, neither of which are ingredients I keep on hand nor prefer to use. My friend in Hawaii confirmed that his friend who is in charge of mochi cake for all their fundraisers and events uses both coconut milk and evaporated milk, while is auntie uses only coconut milk. I went the latter route with just coconut milk because I prefer the simpler, cleaner ingredients. The East Bay mochi muffin man uses Indonesian palm sugar and infuses his batter with pandan, both of which add distinctive notes to the muffin. Ultimately, I want a muffin I can make when the craving strikes using pantry staples. So I adapted and tweaked my recipe to capture that toffee-like flavor without hard-to-find ingredients. These butter mochi muffins get their flavor from organic dark brown sugar and an extra splash of molasses. 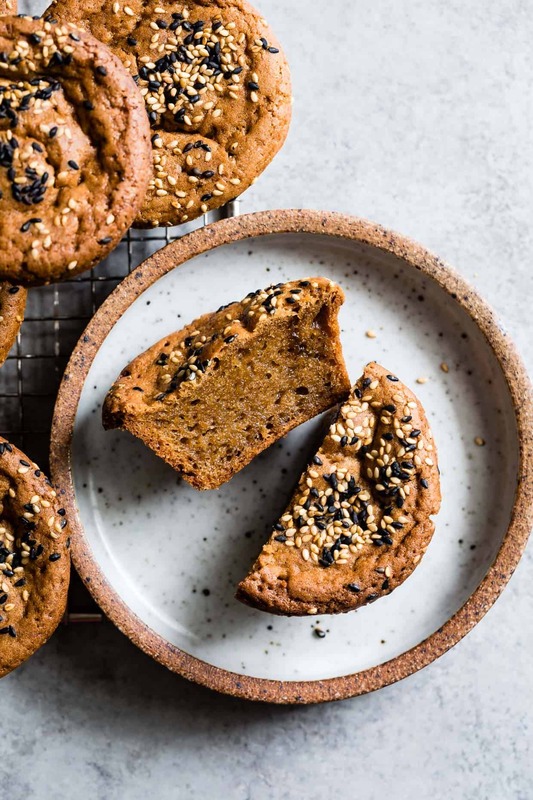 Combined with the sweet tropical notes from coconut milk and nutty toasted black and white sesame seeds, these muffins are exactly what I’ve been looking for. The best part? They’re super easy to make. 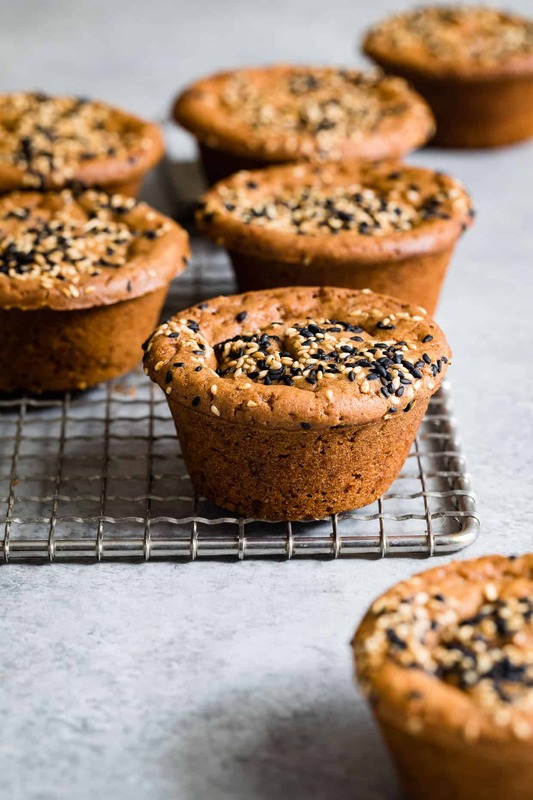 Add the wet ingredients to the dry ingredients, divide among a greased muffin tin, sprinkle with sesame seeds, and bake until golden brown with a slightly crispy shell. Now I won’t have to go into attack mode when someone tries to eat one of my prized mochi muffins because I can always make more. These butter mochi cake muffins are dense and chewy with a crispy buttery exterior that's completely addicting! 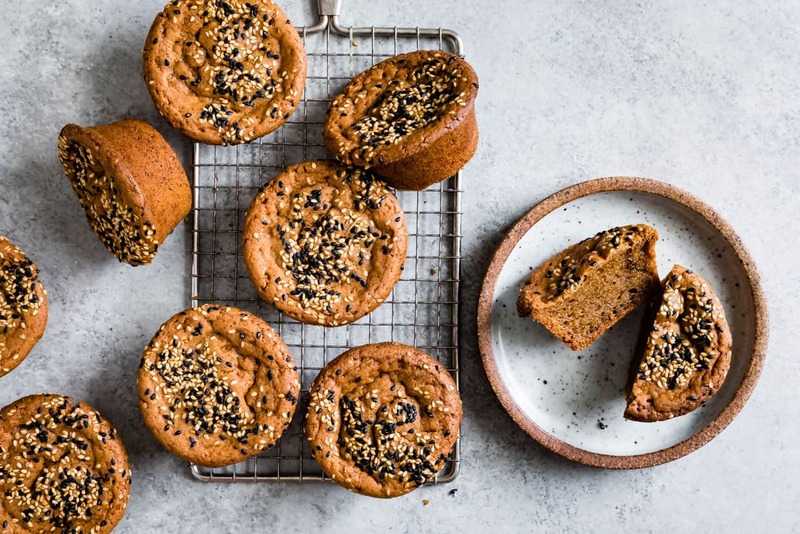 A spin on the classic Hawaiian dessert, this butter mochi recipe is baked with brown sugar, coconut milk, and toasted sesame seeds for rich toffee-like caramel and nutty notes. Preheat oven to 350°F and place the oven rack in the middle of the oven. Generously grease the sides and top of a 12-cup muffin tin** with soft butter. In a medium bowl, whisk together the sweet rice flour, dark brown sugar, baking powder, and salt. 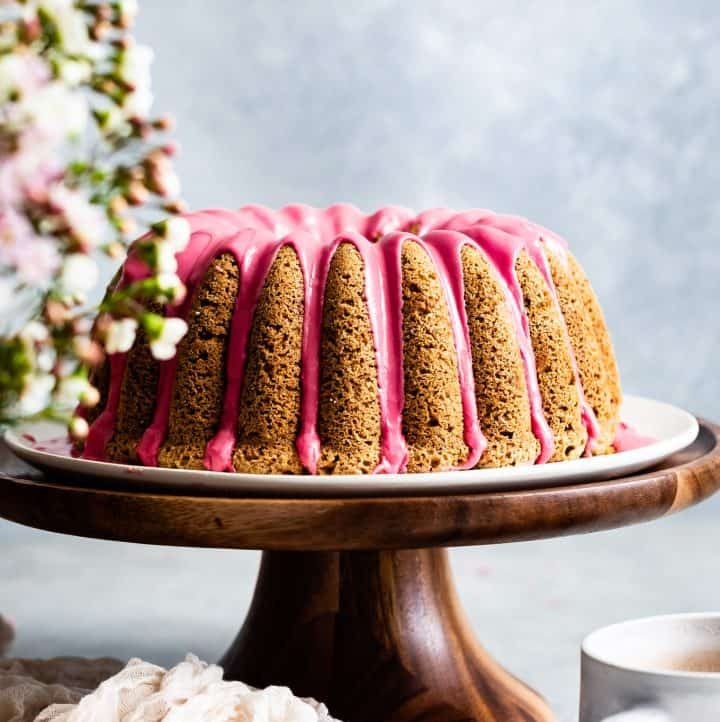 In the bowl of a stand mixer fitted with the whisk attachment or a large mixing bowl, whisk together the melted butter, coconut milk, eggs, vanilla, and molasses. With the mixer on low speed, slowly add the dry ingredients to the wet ingredients and mix until completely combined. Divide the batter among the prepared muffin tin, filling each cup all the way to the top. Sprinkle the tops with black and white sesame seeds. Bake 55-65 minutes*** until the top is brown and crispy and the muffin springs back when poked with a finger. Let cool 10 minutes in the pan, then transfer to a wire rack to cool completely. *Organic dark brown sugar is richer and more caramel-y than conventional, but you an use conventional in a pinch! **Any muffin tin will do, but for ultimate crispy exterior, I recommend a dark non-stick muffin tin. ***If using a light muffin tin, you may have to bake the muffins a little bit longer. ****If keeping them for longer, they'll lose their crispiness after a day or two in storage, but you can pop them in the oven for a few minutes to get them crispy again before eating. I think I would definitely be snapping at whoever thought these muffins were theirs too. Clearly they were meant for you, ALL of them. ;) ;) They sound amazing!! seriously laughing about you getting snappy with lucas about eating the muffins. ! but i don’t blame you. i had a mochi cake at MimiNashi in Napa with Emma and I literally could not stop eating it. the texture was incredible. makes me so excited for these muffin cakes! I would love to make these and love butter Mochi. My fam is not a fan of coconut; can I substitute it with something else? Thanks for the great recipe! I urge you to give it a try and not tell them there’s coconut milk in them;) In my opinion, the coconut flavor is actually not all that strong in these. I know people who make a version that’s half coconut milk and half evaporated milk, but that doesn’t totally solve your problem! I also have this version of mochi cake that uses pumpkin so that flavor is predominant! Great! Thanks so much for the suggestions. Will give both a try! And I can attest they came out super delicious! It always amazes me how you can adapt recipes without affecting the taste and textures and sometimes actually improve both!. You rock Sarah! I love your recipe’s and your stories of your family! They looks so good! I’ve never had anything remotely like this but now I’m dying to try it. Your recipes practically make me WANT to go gluten free! I’m obsessed! I love this idea and they’re SO pretty. Kinda remind me of a financier, at least visually. these sound AMAZING – i’ve always loved the chewiness of mochi. i’m going to have to give ’em a try. For the curious – I made these tonight and they’re wonderful! I actually had to sub half tapioca flour because I ran out of rice flour, and they’re still great. Chewy, moist, a nice hearty chew without feeling heavy, sweet but not too sweet. The only extra tip I have is that it’s kind of hard to tell when they’re done baking. They’ll be bouncier than AP flour bakes, so expect it to feel softer. I LOVE the muffins from Third Culture Bakery!! I just tried an ube one the other day and it was divine. Can’t wait to give this recipe a go! Just made this, luckily I had all the ingredients available at home. Turned out just like the ones I’ve eaten from the bakery! I was worried when the muffins puffed up while in the oven, but they flattened out when cooled. Yum! This was a really straightforward recipe and while it was delicious, the inside was more like a mochi texture than the mochi muffin texture I was expecting. Also besides the top, the crust was also sort of thick and hard rather than crisp. My batter looks a lot thicker (like brownie batter thick) than the one in your photos since I had to spoon it out and sort of smooth the surface, but I followed the recipe pretty much exactly besides the optional molasses. What could have gone wrong? I’m so sorry you had trouble! I have a few questions to help me deduce what may have gone wrong: Did you use Koda Farms mochiko brand sweet rice flour? Did you use the cup or weight measurements? The fact that the batter was thick like brownie batter makes me think that something went wrong before baking. Often different brands or even different ways of measuring can make a big difference. Mine came out like this too. Puffy muffin top that was crunchy. I didn’t use room temp eggs and I didn’t have molasses on hand. I did use Koda mochiko brand sweet rice flour. I don’t have a mixer so I had to hand mix everything. I couldn’t get the all lumps out because the batter was thick and hard to whisk. Unfortunately the lumps stayed intact after I baked it. My mixture also wasn’t pour-able and I had to hand scoop this into the muffin tins. I made another recipe on Saturday and I loved it so I tried this recipe out. I noticed the other recipe had an additional can of evaporated milk and this one didn’t. I assumed that was the extra moisture needed for this batter or was the machine mixer really crucial for this recipe? I wonder if the temperature of the eggs made the difference? Did you weigh your ingredients or measure with cups? I also am wondering if the brand of coconut milk makes a difference – some seem to have more of the thick cream than others, which would definitely influence the texture of the batter (but shouldn’t affect the final baked muffin). I tested the recipe again this weekend and it still turned out just the same as before. The muffin top should be crisp, which is the goal, but if you want it softer, you’d just need to bake it for less time. The other recipes I’ve found online are actually double the size of this one (24 versus 12) so that’s why they have a can of evaporated milk. I wanted to simplify my version and also not use evaporated milk in my recipe because it’s not an ingredient I ever use or have on hand. Hope this helps! Has anyone calculate the calorie content and nutritional breakdown for these muffins?! They are soo good! These muffins have changed my life and others’ lives! I am a huge fan of butter mochi cake and bake a slightly tweaked version of the Lucky Peach recipe very regularly to share with family/friends since it is large (9×13). I wanted to find a muffin recipe to share, but also to get crispier outsides. These came out super delicious- used light brown sugar instead of dark since on hand and only light sesame seeds for the same reason. Since am in the Bay Area immediately headed to Third Culture’s Berkeley warehouse to side by side taste test. 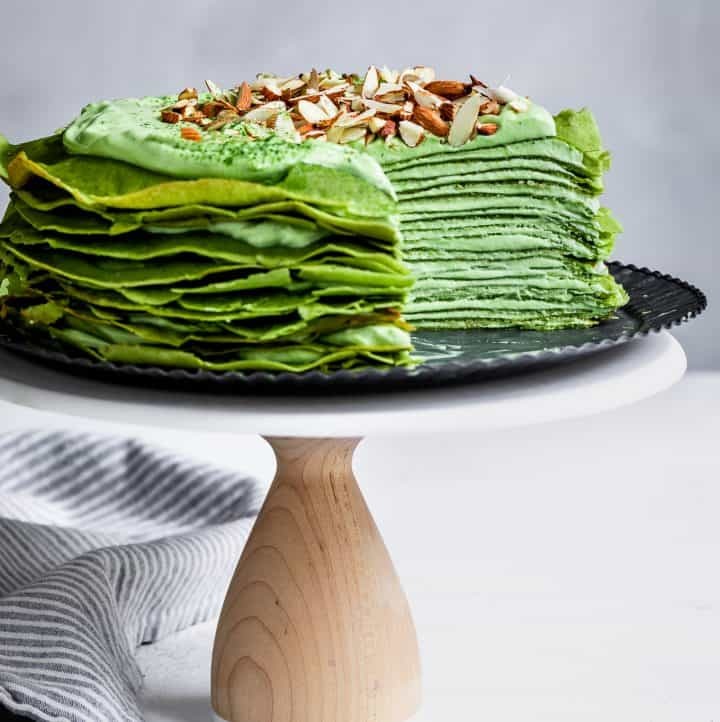 I can confirm that this recipe matches very closely- the difference being a slightly more caramelized outside on the original which may be due to coconut sugar and/or dark brown sugar and/or pandan. Regardless, this is a keeper for gluten-free and non-gluten free folks alike. Note on rice flour- the Koda Farms mochiko is highly recommended. Others do not give it the same mochi-like texture. Thank you for reverse-engineering this recipe! Hello! just tried to make this as well today. mine have puffy tops as well! they are still in the oven so i dont know if they are cakey or more mochi like. I used cup measurements and i did use room temp eggs. i was wondering if the batter got more dense and brownie batter like because the eggs couldve been over beaten? I dont know how you got the batter so smooth. I think possibly it has to do with the way the flour is measured and/or the brand of flour – I notice that different brands of sweet rice flour are ground differently and thus have different weights for a cup, and also different ways of measuring a cup can have different weights (ex. spooning into the measuring cup, dipping the measuring cup in the flour, etc). For that reason I always measure in weights now for consistency! Also different brands of coconut milk have more/less fat/cream on them which can also make the batter smoother or thicker. That being said it’s such a forgiving recipe that I don’t think the fact that yours have puffy tops should make a huge difference in their flavor! Let me know how they taste when you pull them out! 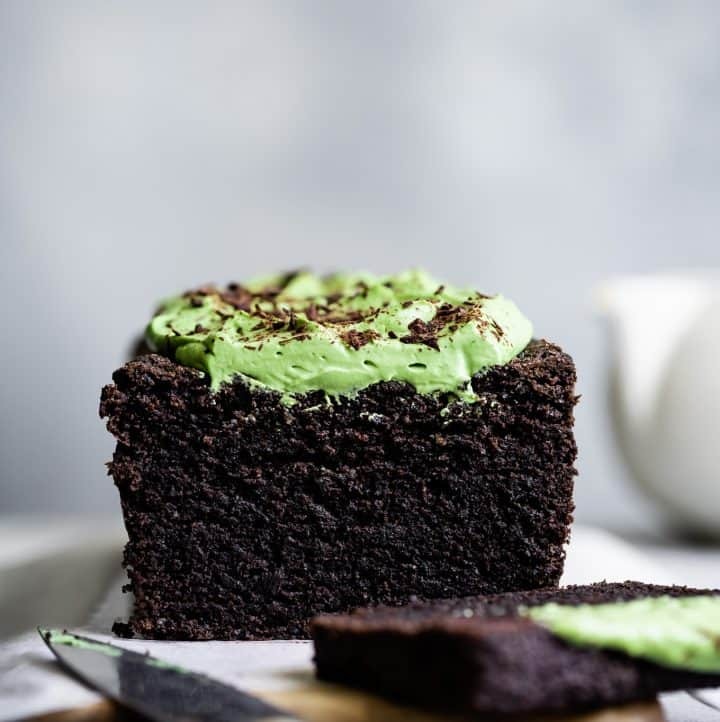 Can I make this recipe with coconut sugar instead of brown sugar? I think you definitely could – in fact, I think one of my friends told me they tried that. Personally, I don’t think it would have enough of the molasses toffee-like flavor that makes it feel like a cake. 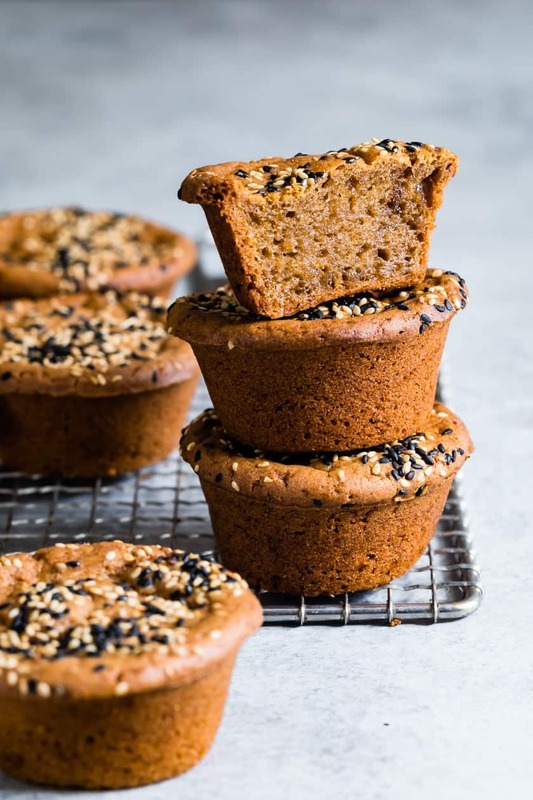 I know many people use palm sugar for making mochi cake muffins, which is a little different and sweeter than coconut sugar. Let me know if you end up trying it! Hello there… I’m new to your site and I have been obsessed with these mochi muffins. Thank you for hacking this recipe so that I don’t have to pay big bucks for 6 muffins and schlep over from SF to go to Third Culture Bakery. I have baked them four times now and my community is now obsessed with them as well. I ran out of dark brown sugar so I tried subbing coconut sugar and adding a teensy bit more molasses – they were perfect. I am eternally grateful for you! Meh. Third Culture’s is much better—how about support your QPOC businesses and quit stealing from others. White people, smh. I’m sorry that my recipe elicited this feeling. 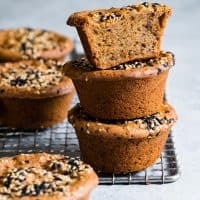 I have nothing but admiration for Third Culture, which is why I wrote that the specific cultural ingredients the muffin man uses in his muffins add distinctive notes to the muffin. I only wish them success and also regularly purchase their muffins all around town, encouraging others to do the same. Here I’ve not tried to recreate or steal their recipe, as it’s simply not possible, but shared a different homemade mochi cake muffin recipe, drawing inspiration from the one I love at Third Culture and instead using ingredients drawn from a classic Hawaiian butter mochi cake recipe shared with me from my friend (adapted with permission). My hope is that through my post I’m spreading love and awareness of mochi muffins and Third Culture Bakery (and have received many messages from folks who have now discovered Third Culture from my posts and are similarly obsessed).